Would you trust credit decisions from a company (Dun & Bradstreet) whose data is so corrupt? I was doing a Google on myself and I came across this website: http://www.corporationwiki.com/p/2ia9yb/wayne-spivak (as of March 30th, 2017 it was no longer there). – It states I’m the President and CFO of Proformative, Inc. (last time I checked, John Kogan, the CEO has never offered me those roles 🙂 ). They don’t even list that I am the President & CFO of my company which has been in existence since 1990. Comedy aside, this data is just wrong. Why not do a search on yourself? 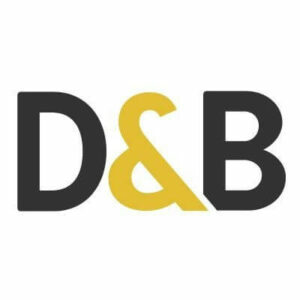 Why would you use Dun & Bradstreet? The D&B Comprehensive Insight Plus Report combines D&B’s proprietary statistical scoring with business, payment and financial information all in one report. The Comprehensive Insight Plus Report is the only D&B product to showcase both of D&B’s predictive data elements, namely, credit score (assesses probability of slow pay) and financial stress (measures likelihood of business failure), along with a rich mix of financial, payment and summarized business information. It’s designed to provide customers with as complete an assessment as possible of both the current profile and future outlook for an account. Or as I have suggest in the past, just save your money. C-suite – All Or Nothing: Why aren’t companies considering interim solutions for key vacancies?